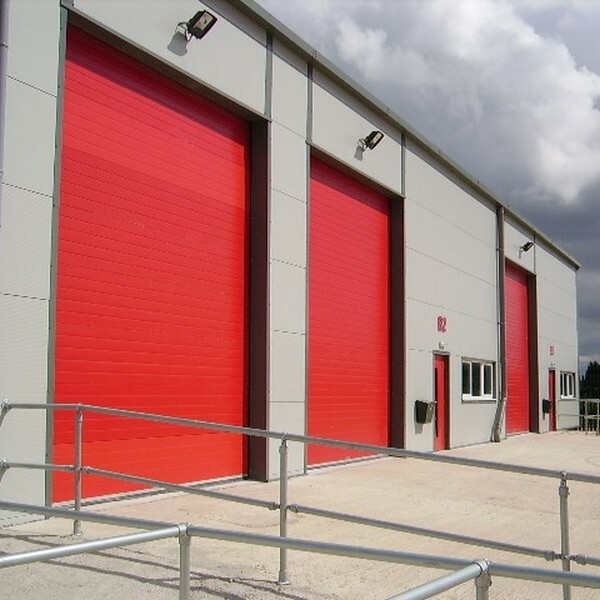 Our sectional doors offer excellent thermal insulation, security and temperature control. ENERCO’s Insulated Sectional vertically sliding door range includes some of the most well engineered products on the market in the United Kingdom. We supply sectional doors suitable for a range of applications – from loading bays, industrial warehouses and garage workshops and showrooms. Featuring a choice of aluminium or steel panels with optional safety and automatic operation. 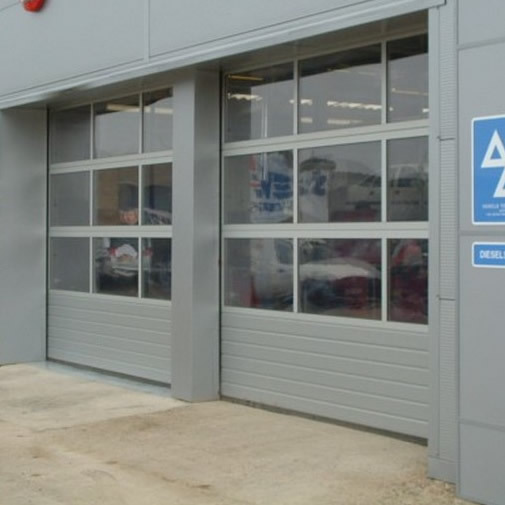 Our sectional doors offer excellent thermal insulation, security and temperature control. They are particularly well suited to temperature sensitive working environments such as factions, warehouse production or distribution facilities. Our team of specialist consultants will work with you to tailor the perfect door solution to your requirements. All of our Insulated Sectional Doors are CE marked, ensuring compliance with the latest European safety legislation, and come with a two-year parts and labour warranty, subject to service agreements. As members of the Door and Hardware Federation (DHF) you can be sure that the installation and all servicing will be carried out to the highest possible standards. An excellent space saving, sectional door, this is arguably one of the most well engineered products on the market. This product offers a Panoramic Vision glazing option for buildings and businesses where maximum daylight is required. Like the 1000 model, this too is one of the most well engineered products on the market.